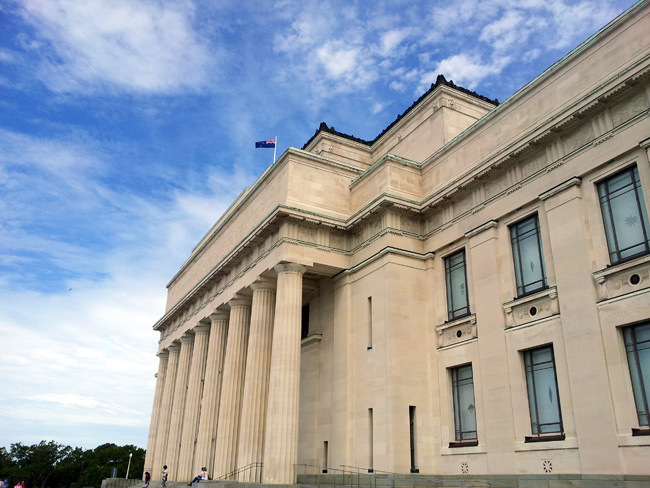 This is a type of 'photo essay' which looks at what are most likely, the lesser-noticed details and aspects of the building and contents; which comprise the Auckland War Memorial Museum. A significant amount of esoteric and occult symbology and imagery is present at this location. Once one has the 'eyes to see' and the understanding to perceive, it is deeply saddening that such a structure had to be built to honour those who gave so much; because the people of the time were too ill-equipped to see that they were being manipulated into taking part in such contrived and unnecessary wars; sent so far away from their families to be maimed and killed, sacrificed even - at the evil behest of sectret societies, the royal / satanic elite families and their banksters. The same 'elite' collectivists and families that still seek to this day, to vastly reduce the population of this planet and bring about their plan for a fascist New World Order. 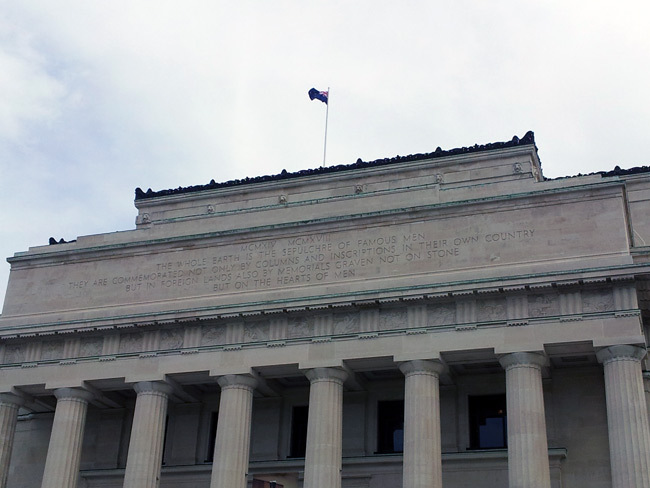 "Crafted from Portland stone and designed to reflect the heroic valour of the New Zealand soldier and the classical tragedy of battles such as Gallipoli, the Museum's colonnades are said to be almost an exact replica of the Parthenons in Greece." 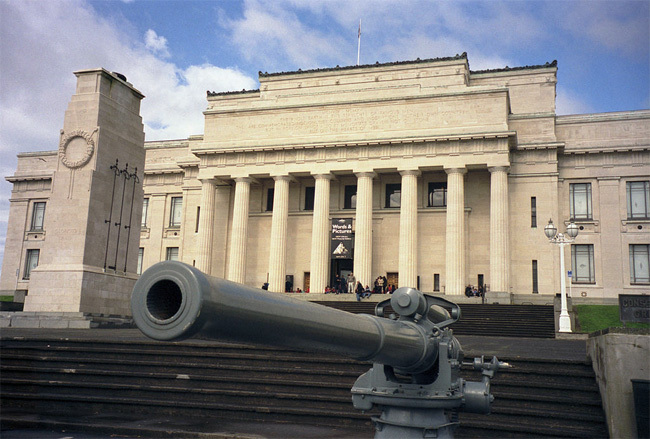 "The Auckland War Memorial Museum was constructed in 1929 with the aid of subscriptions raised by Aucklanders in rememberance of their war dead. 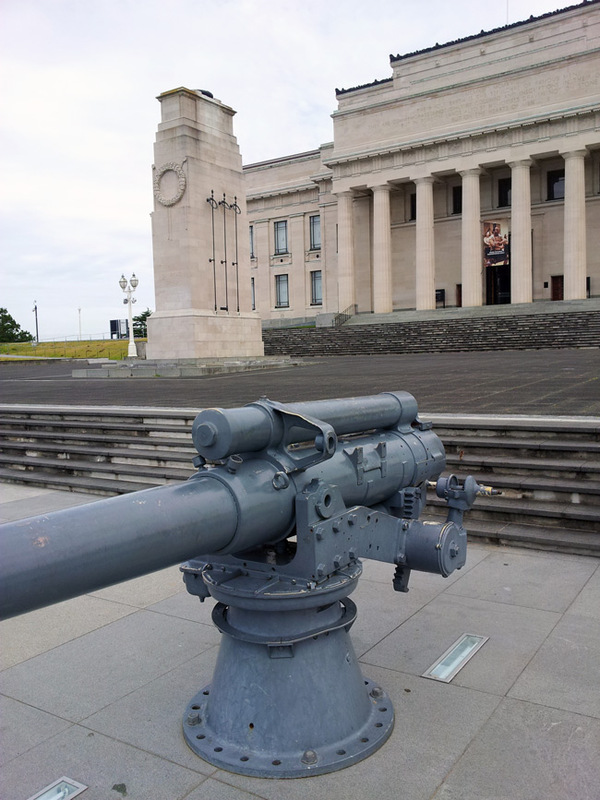 In the building’s foreground is the consecrated ground of the Court of Honour and the Auckland Cenotaph (empty tomb)." 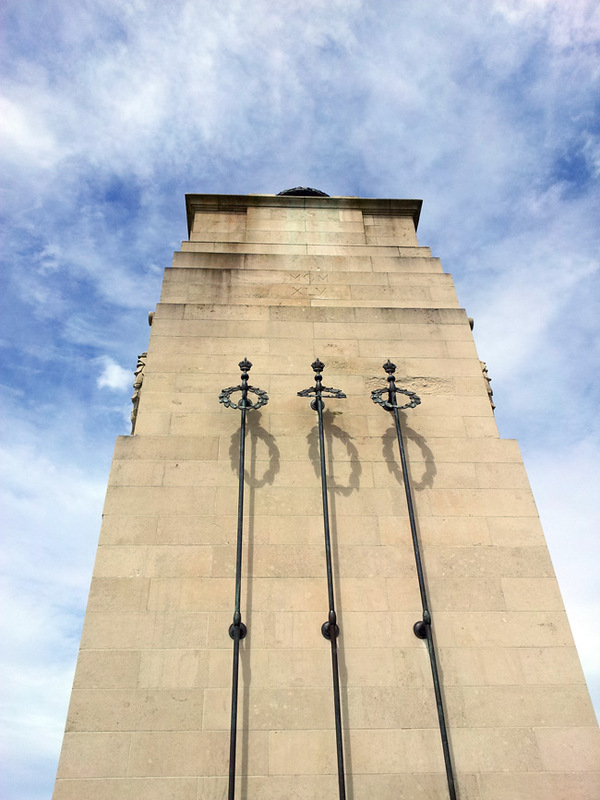 Three each side, six spires with Royal Crowns atop surround the Cenotaph - each completed with a Roman wreath. 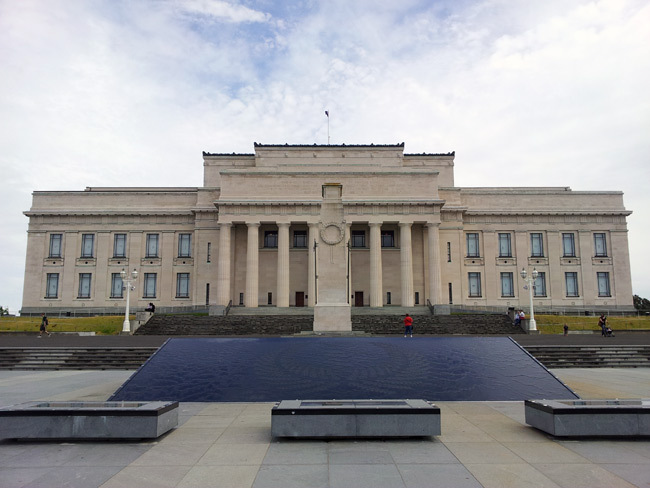 "The Auckland Cenotaph was copied from cinema newsreels as the blueprints for the original Whitehall design were deemed too expensive for their purchase." 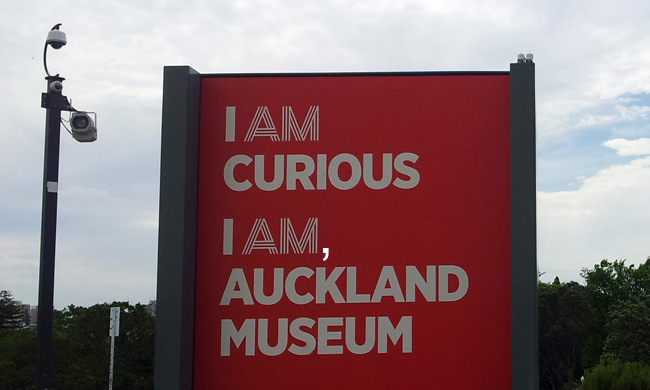 I am curious Auckland, I really am too. How apt. The fountain shown above was built in an area that was once a car park. 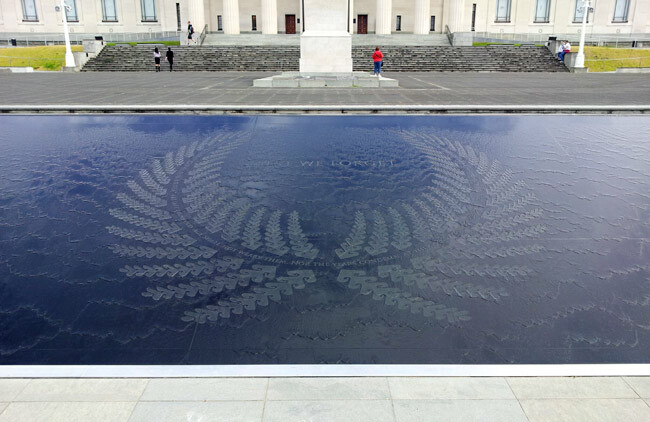 It features the image of a fern leaf wreath etched in granite. 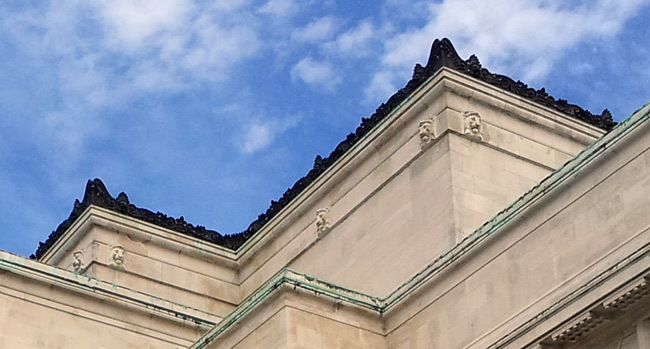 Carved Lions feature all the way around the top of the building. Lions are a favourite representation of the elite bloodlines, along with dragons and gargoyles which were used more in earlier times. In most crests where Great Britian is involved, they represent themselves by way of a Lion. As we all know, Lions are supposedly at the top of the food chain, an icon of rulership and control. The City of London uses the image of a Dragon or a Griffin. Respectively and typically, in offical Coats of Arms the Goyim or masses are depicted by default as a unicorn or by way of the mascot animal of the territory concermedin the matter at hand. In the case of New Zealand / Aotearoa this may be a Kiwi or Moa. For Australia it would be a Kangaroo. The use of two opposing animals also signals duality and lower consciousness - prevention from reaching the goldern crown of enlightenment (unity). 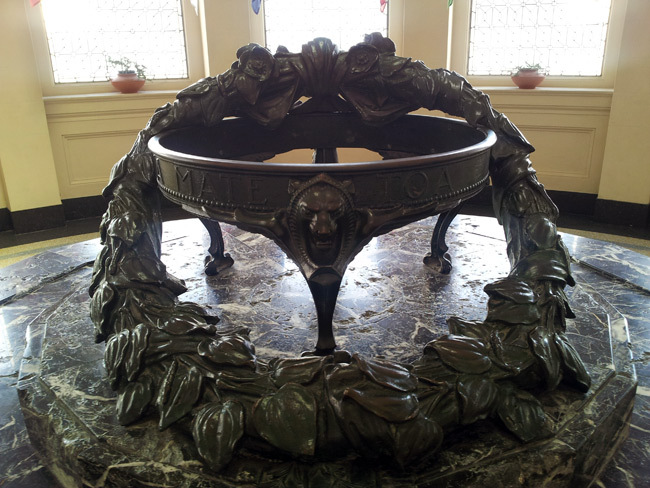 Roman-style laurel wreaths surround of each of the torch style-lamps above the original Museum entrance to the Grand Foyer. Carved Rosicrucian five-petal roses feature, six on each side of the four internal doors; beyond the external revolving door. Masonic signs closely parallel those of Rosicrucians. 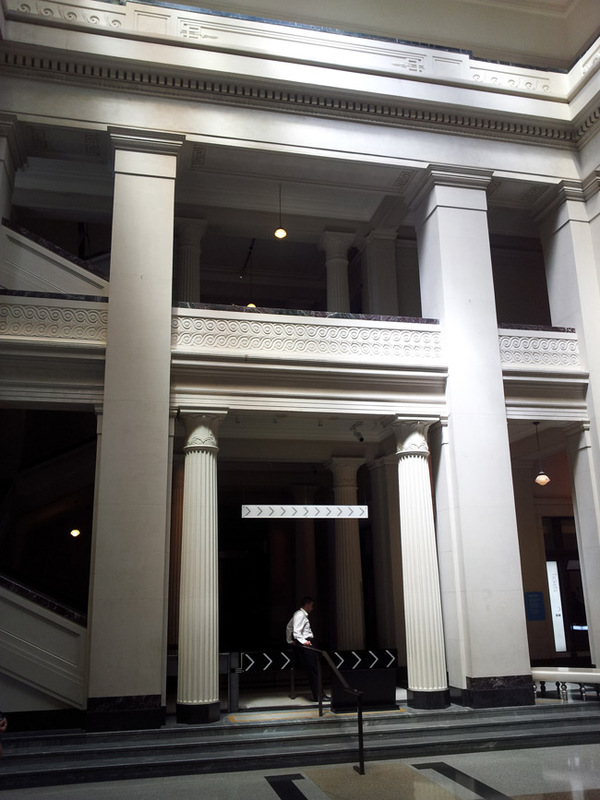 We are greeted with what appears to be a harrowing mix of Egyptian, Greek and Roman architectual cues. 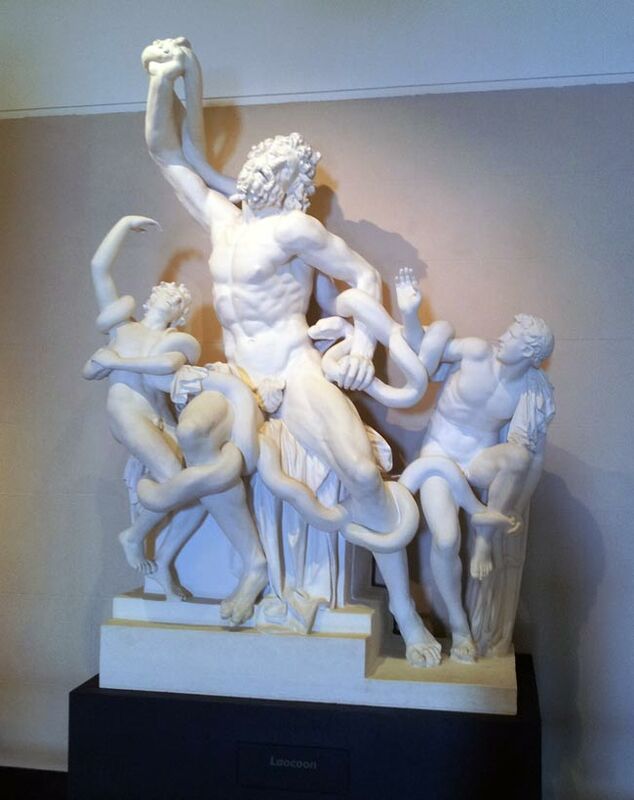 (North wall) Channel Islands, Fiji, Jamaica and Malta"
Discobolus, of the Russell Statues, further details follow. 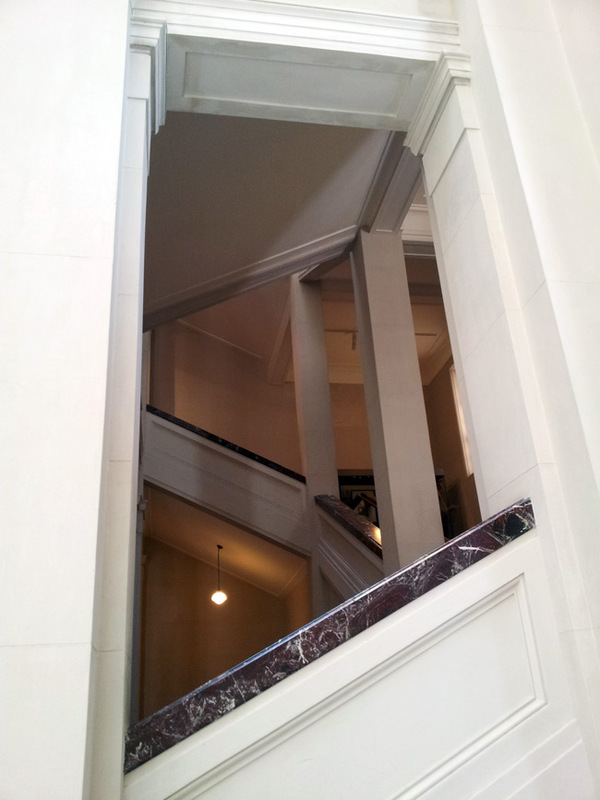 Grand staircases with marble detailing flank each side of the Grand Foyer Atrium. 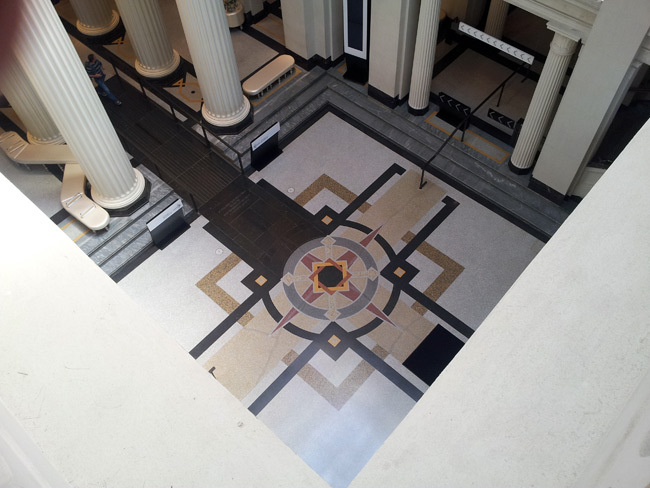 The Terazzio mosaic on the ground floor of the Grand Foyer, as seen from the first floor. Note the the Double Square or "Star of Lakshmi" in the center. This is the Masonic symbol comprised of two superimposed squares at a forty-five degree angle, representing order and disorder, and other dualistic concepts. 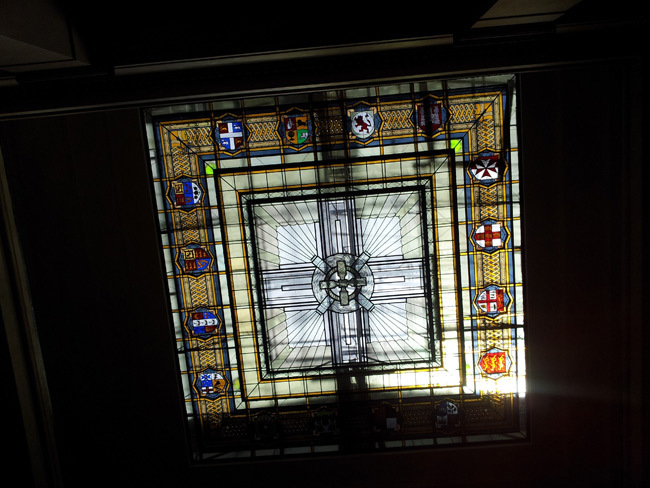 This same floor decoration can be seen at the Vatican Museums. The eight pointed star is also known as the Chaos Star - related to Ordo ab Chao "Out of chaos, order", a motto of the thirty-third degree of Scottish Rite Freemasonry. 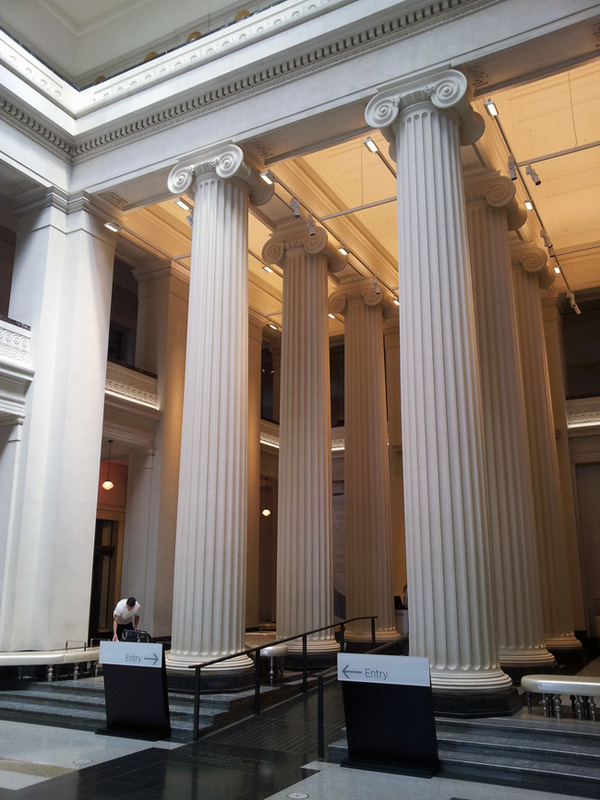 "The central area of the Logan Campbell Gallery features restored 19th Century plaster casts of classical Greco-Roman sculptures. 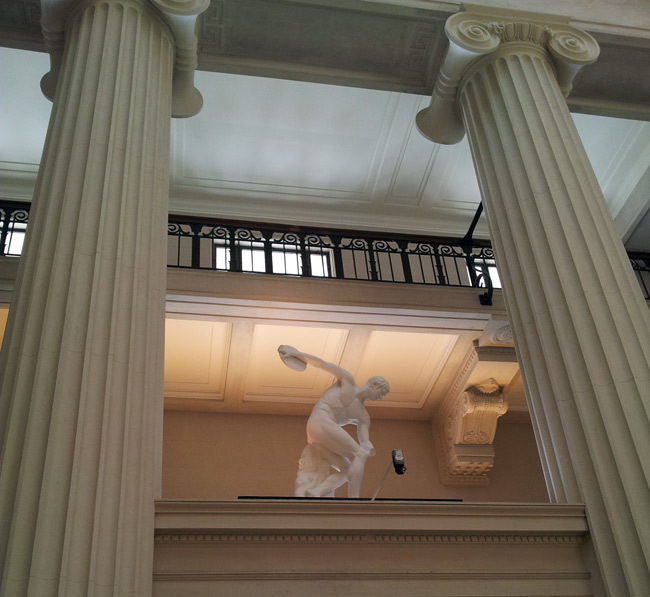 In contrast with the stark, contemporary architectural spaces of the Decorative Arts Galleries, these three casts of classical Greek sculptures, the Dying Gaul, Laocoön (above) and Discobolus (shown previously, holding the discus) emphasise the Greek Revival architecture of the Museum building. They are also an acknowledgement of the historical importance of the arts and learning of classical antiquity to our imported European culture." The Russell bloodline is one of the main 13 Illuminati family bloodlines. As with anyone who shares a surname in common with any of the key the original (and 'lesser') bloodlines, this does not mean that are all "family" as such. It is however more likely that members of historical branches of these families who were of means and influence, may possibly be featured and noted as benefactors etc. 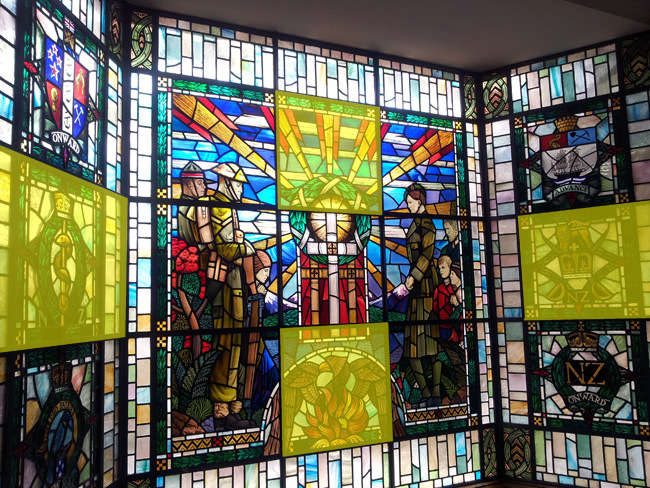 "The top floor of the Museum is dedicated to the memory of fallen soldiers and is known as both the World War 1 Sanctuary and the World War 2 Hall of Memories." 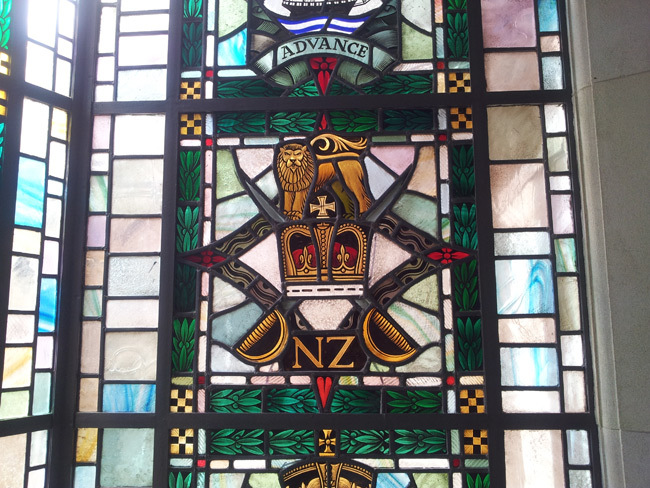 "In our short history warfare has played a major role in shaping New Zealand's identity. 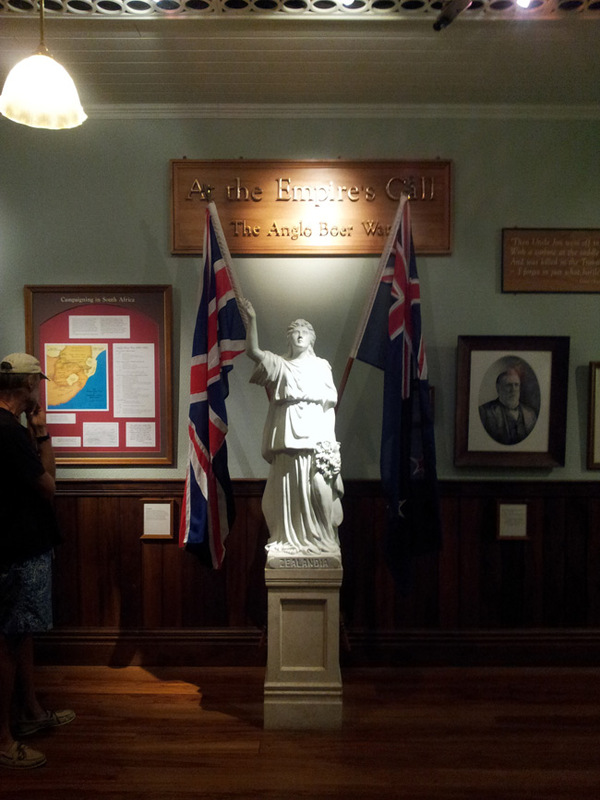 These galleries, situated on Level 2, tell the story of New Zealand's involvement in wars from the New Zealand Wars to East Timor." 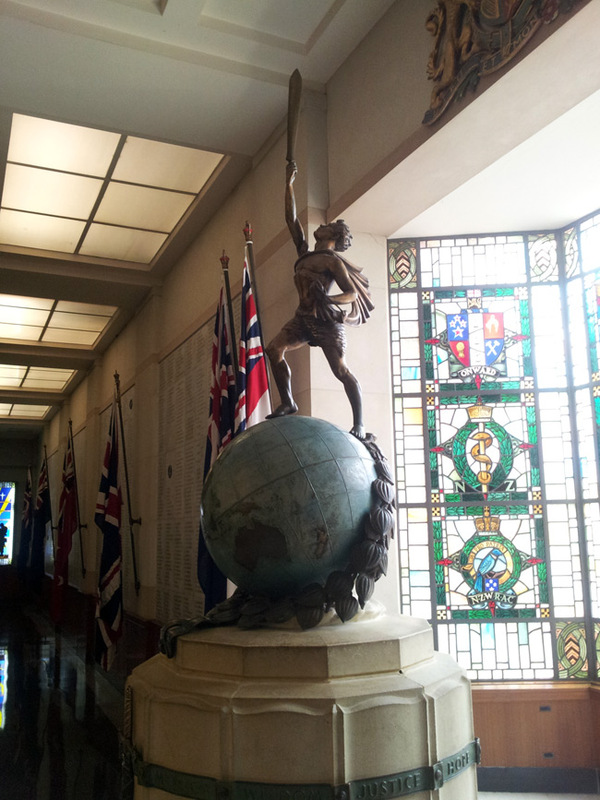 You can read more about the World War I Sanctuary on the Auckland War Memorial Museum website here. Once again we see the eight pointed star - the Chaos Star; Order Out of Chaos. 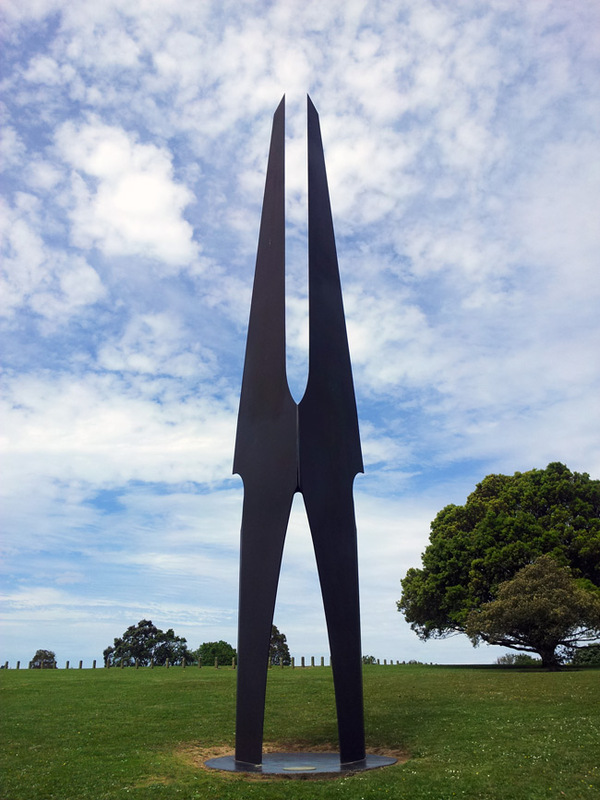 "After World War II it was decided to expand the war memorial to honour all of Auckland province's fallen soldiers. The additions would include new Halls of Memory to remember the 11,671 men and women killed in the Second World War. As attitudes to the construction of war memorials had changed since The Great War, the Hall of Memories was not completed until 1960." The centrepiece of the main alcove of the World War II Hall of Memories plays host to this rather macabre bronze installation. It appears to be a four legged Roman table looking ensemble atop an enormous, monolithic marble plinth, draped over with a forebodingly heavy looking Roman laurel wreath. With more lions. This time wiith Egyptian-esque head gear. Rosicrucian flowers also present, this time also in bronze. 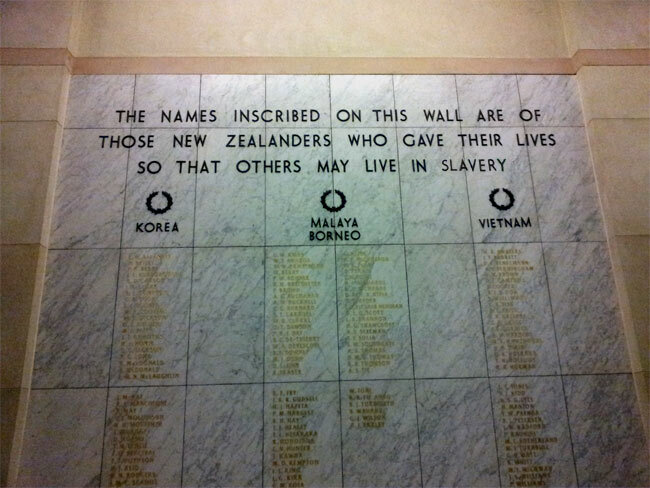 Other alcoves along the World War II Hall of Memories contain specific places of remembrance for those affected by other wars in which New Zealand was embroiled. 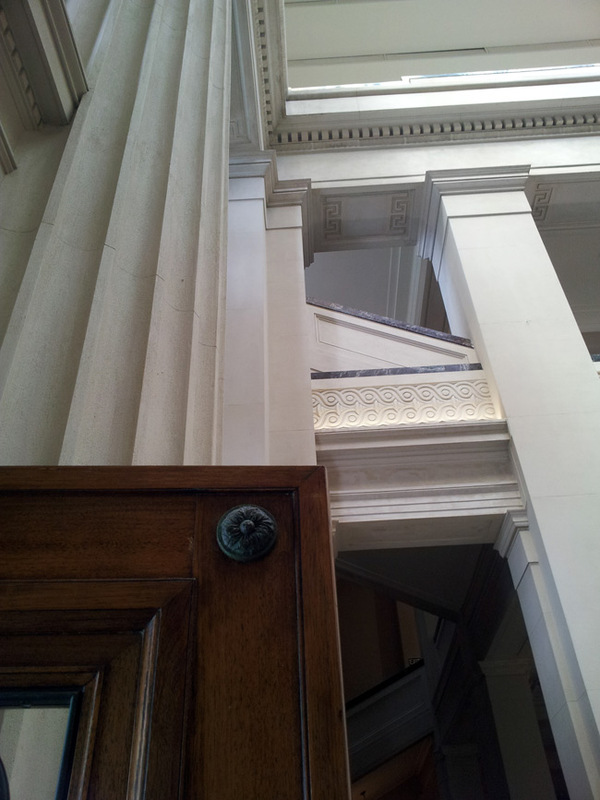 The entrance to the Boer War alcove is shown here. "At the Empires Call" - Just who might the 'Empire' and 'The Crown' actually be? Not the reigning monarch, that has been established, for sure. 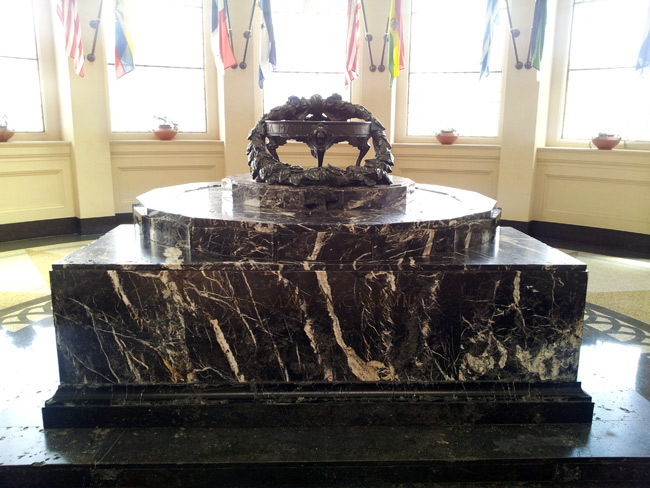 "The altar in the World War II Hall depicts a victorious figure on top of a globe, representing the global theatre of war." The "Altar"? And yet again, another wreath. This time surrounding a globe - as they usually do; signifying the worldwide dominance and control of the elite / Illuminati / cabal. In case the reader may not have not noticed, such symbology has been used around the world ad nauseum since Greek and Roman times. That the same subversive and timeless influences remain at play here today is blatantly apparent. Take a look at the surrounds of the United Nations logo, or the badge of the next Cadillac or Holden Statesman or Caprice you see. These things happen very much by way of design. 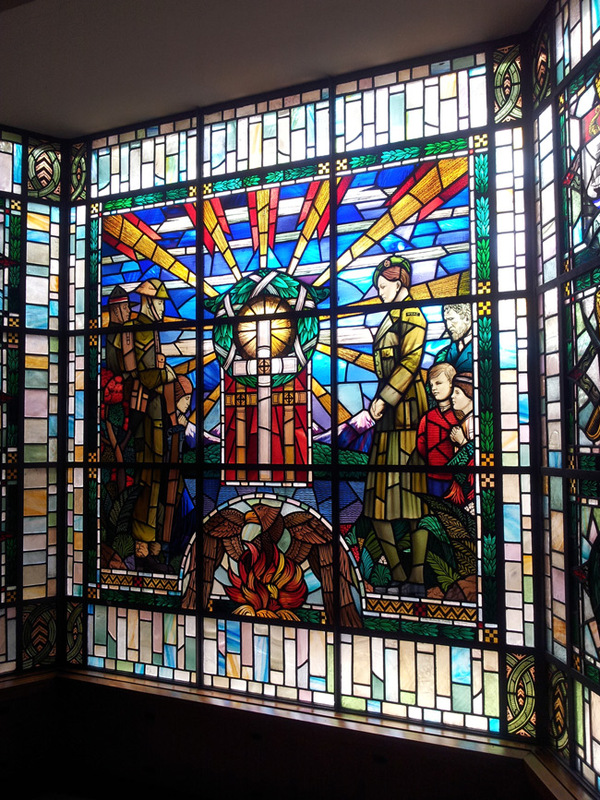 "Three stained glass windows behind the altar represent the insignia of those who fell in units not represented elsewhere, including the nurses, WAAFS, WAACs and WRNZNs. The women, elderly and children who remained at home are also included." In the image above, four key elements have been highlighted which will be briefly analysed in further detail. If one knows what to look for then there is an awful lot more going on here than the casual observer would pick up on. There are age-old themes and esoteric references being asserted and reinforced here. Let's tale a look at them in the order of The Snake, The Solar Blaze, The Phoenix and The Crossed Swords. Firstly, on the left we have the snake - curled around a pole - topped by a royal crown - within a laurel wreath. In Greek mythology, the Rod of Asclepius is a serpent-entwined rod wielded by the Greek god Asclepius, a deity associated with healing and medicine. With the Crown present this relates to military medical corps. 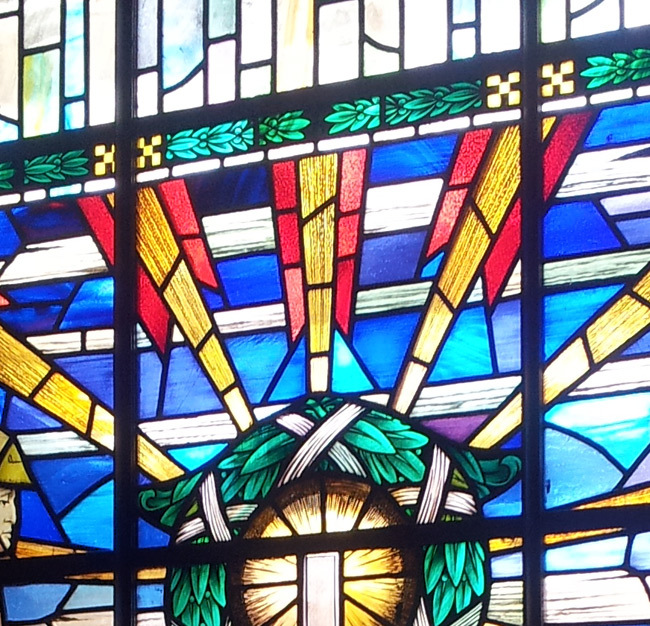 A Masonic / Illuminati Solar Blaze radiates from the top of a cross and behind a wreath, topped by a triangle. Illuminism / Freemasonry, The Ordo Templi Orientis (OTO) and the Order of the Golden Dawn all use the triangle device and the solar blaze together. In ancient Egyptian mythology and in myths derived from it, the phoenix is a mythical sacred firebird. Said to live for 500, 1461 or for 12594 years (depending on the source), the phoenix is a male bird with beautiful gold and red plumage. At the end of its life-cycle the phoenix builds itself a nest of cinnamon twigs that it then ignites; both nest and bird burn fiercely and are reduced to ashes, from which a new, young phoenix arises. The new phoenix embalms the ashes of the old phoenix in an egg made of myrrh and deposits it in Heliopolis ("the city of the sun" in Greek), located in Egypt. The bird was also said to regenerate when hurt or wounded by a foe, thus being almost immortal and invincible - a symbol of fire and divinity. 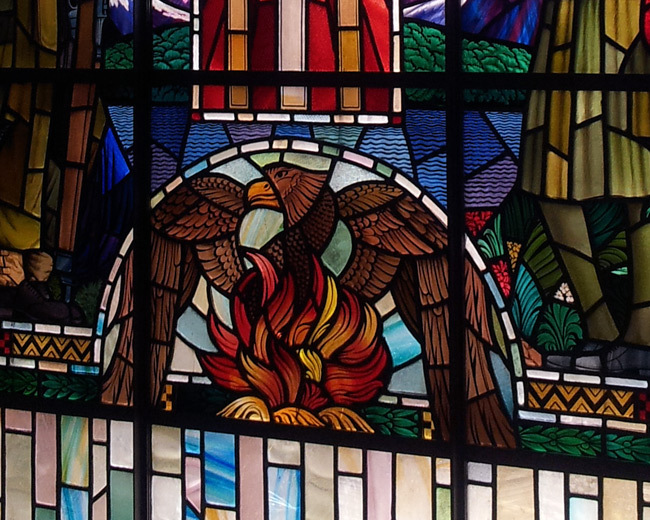 Although descriptions (and life-span) vary, the phoenix became popular in early Christian art and literature as a symbol of the resurrection, of immortality, and of lifeafter - death. Originally, the phoenix was identified by the Egyptians as a stork or heron-like bird called a benu, (see Bennu), known from the Book of the Dead and other Egyptian texts as one of the sacred symbols of worship at Heliopolis, closely associated with the rising sun and the Egyptian sun-god Ra. 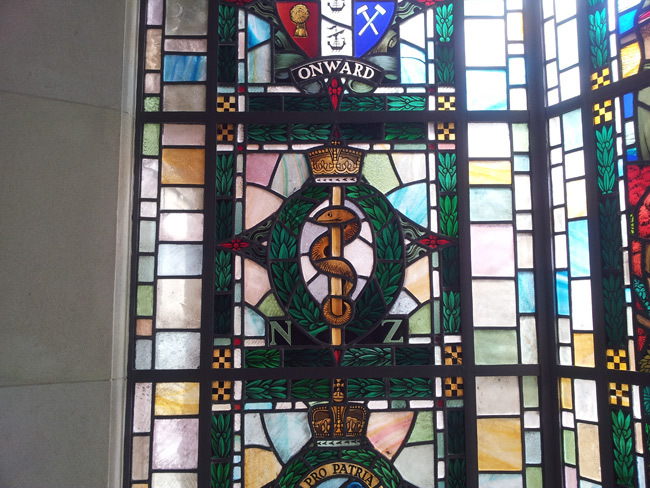 The crossed swords - or more accurately: The Ship, The Lion, The Crown, The Crossed Swords and New Zealand. Cross My Heart and Hope to Die - The mysterious X factor: An X is an ancient symbol for change or transformation. The Illuminist / Masonic meaning of the X is simply this: It is the sign of Osiris, the great Egyptian sun god. The Illuminati elite use the X to this day to symbolise key phenomena and mark significant events. 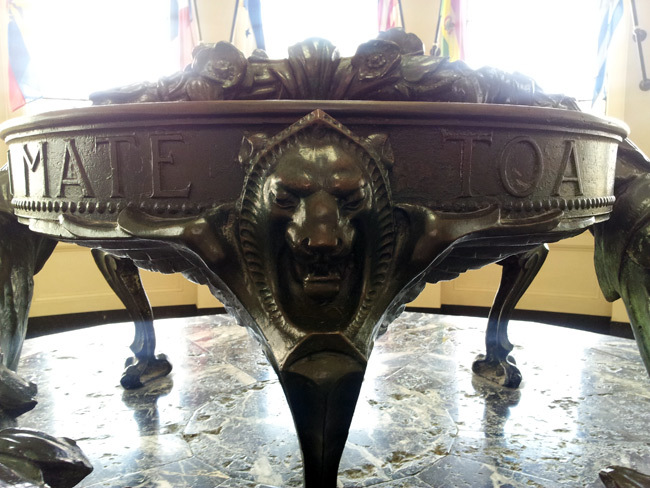 Seen in this instance with a ship above (representing maritime law) along with further Illuminati / Masonic symbolism of the Lion and 'The Crown'. These combine to create a statement of ownership and dominance, cabal control of New Zealand. 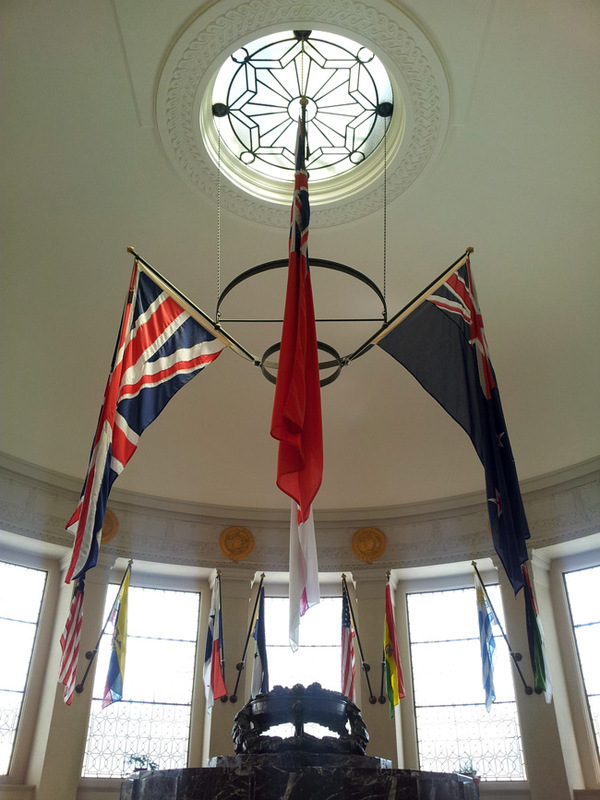 "Rolls of Honour for the Korean, Vietnam and Malaya-Borneo campaigns were later added to the World War II Hall of Memory, so that no soldiers would be forgotten. 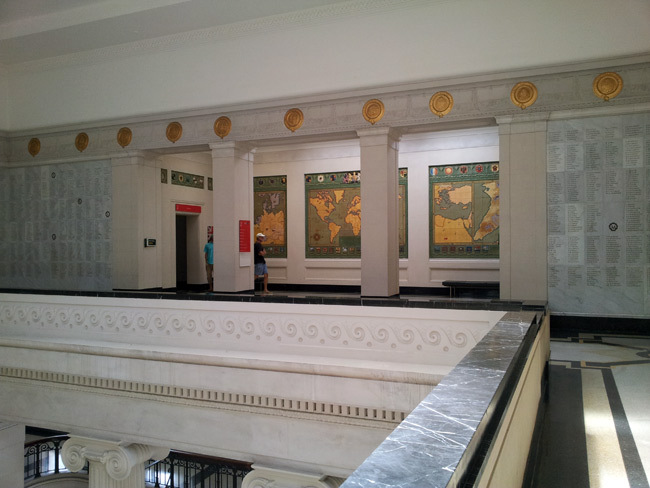 Amongst the Rolls of Honour in the Hall of Memory stands an empty panel of marble. 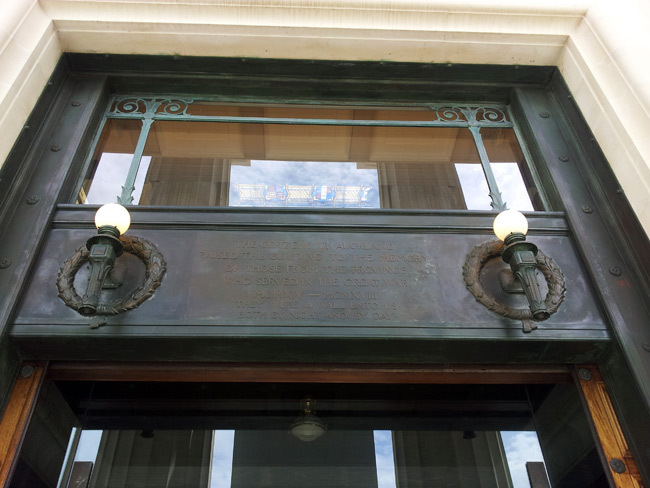 It bears the simple yet heartrending inscription: "Let these panels never be filled." The word 'Freedom' in the image above has been replaced to reflect the unfortunate, dark actuality of the present situation. 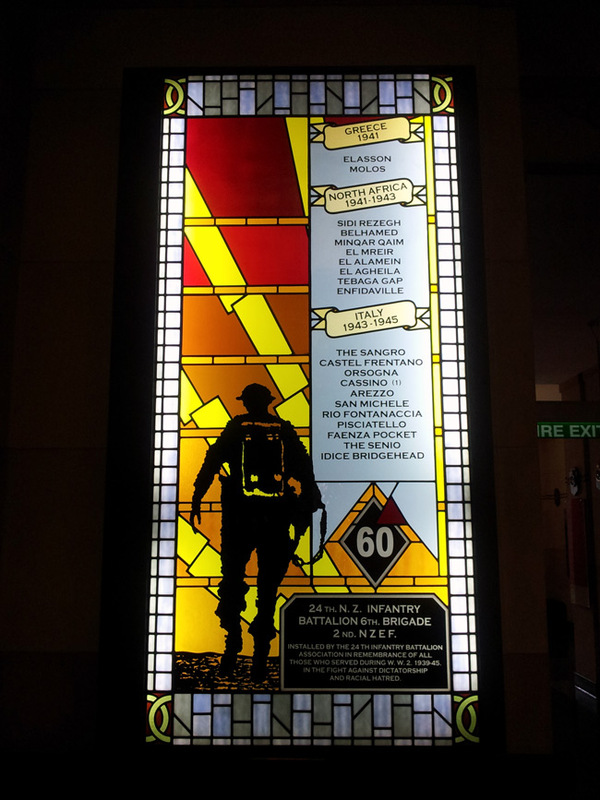 You can read more about the World War II Hall of Memories on the Auckland War Memorial Museum website here. We see a Solar Blaze or rays of light emanatiing from the horizon which may or may not represent dawn, a rising sun or illumination. 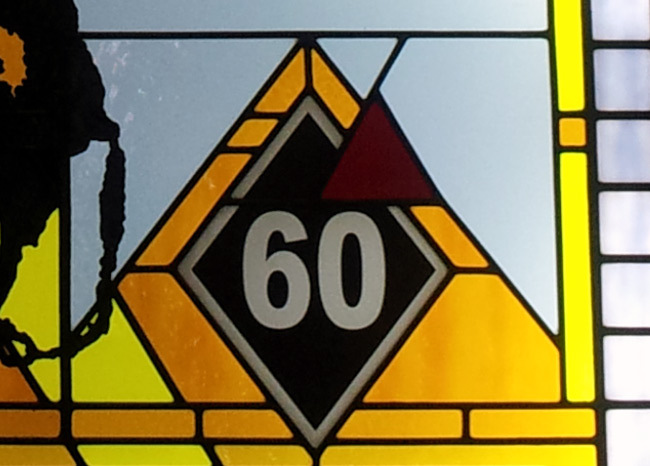 What does appear entirely odd and out of place for sure, is the red pyramid that intersects the upper right hand corner of the 60th commermoration. No explanation whatsovever is given as to why this symbol is present, and it is a heavily occult symbol to include for no apparent reason, especially with regards to the subject matter at hand. Without explanation it's inclusion is suspicious and likely a not to Masonry. 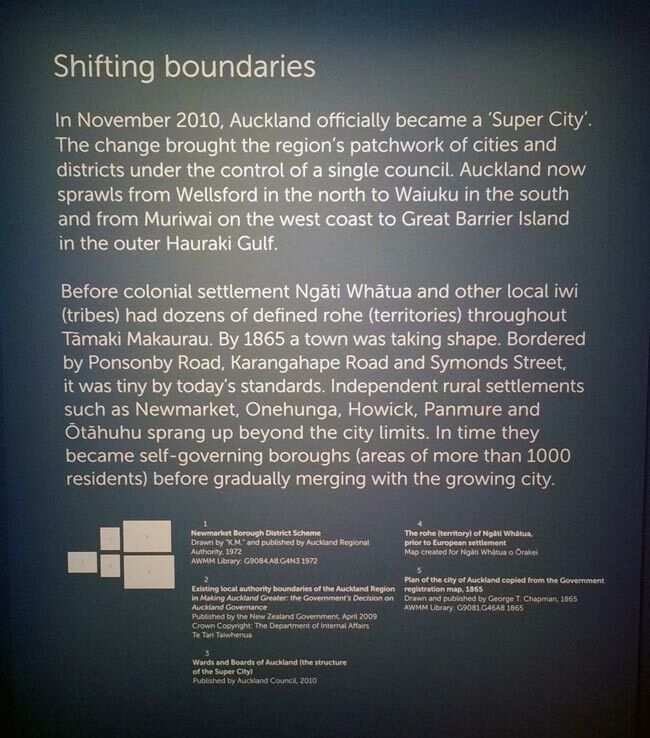 "Shifting Boundaries" was an exhibition showing at the Museum at the time these images were taken in 2011. 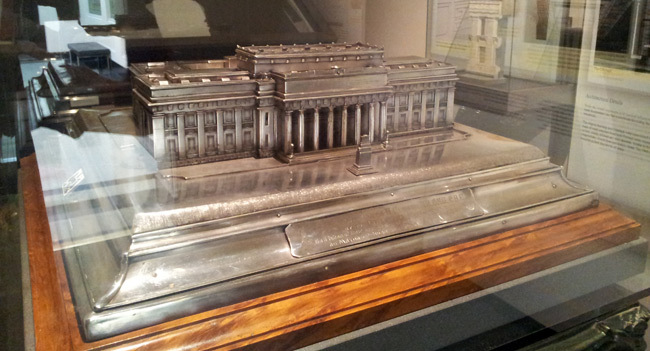 This exhibition is referenced here because it provides an insight into the original layout plan options for the city and also highlights where some Freemasinic design implementations may have been made, albeit on a much smaller scale to the likes of Washington D.C. 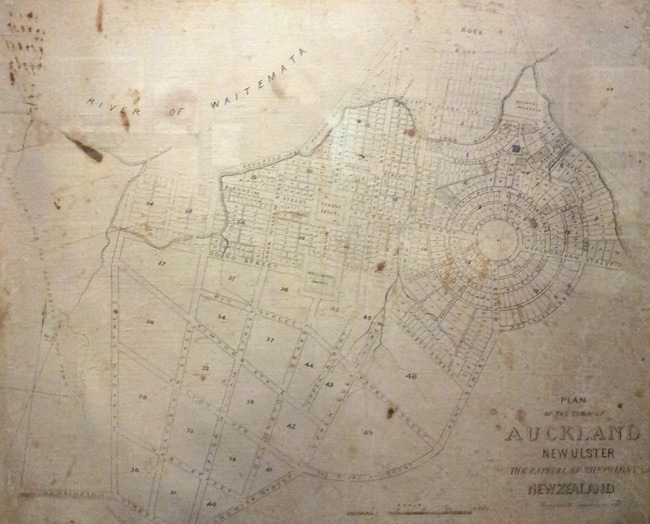 Above is one of a number of alternative city layouts shown in the exhibition. 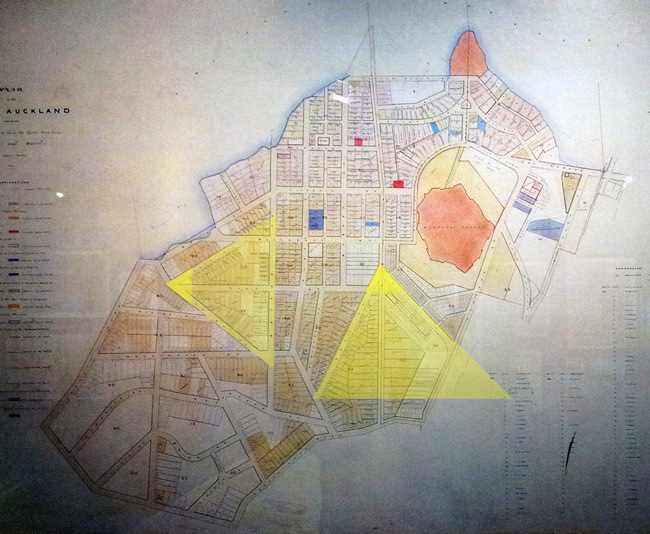 The highlighted areas in the map above (same areas, different maps) and below show two pyramid shaped areas, defined by roads and streets. 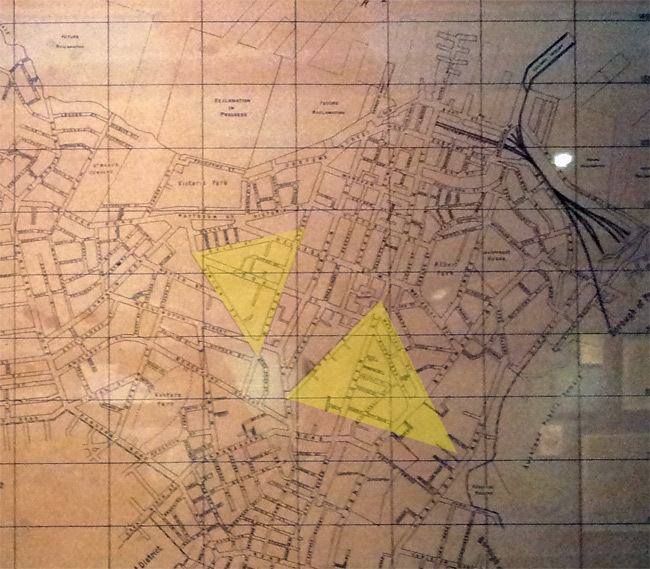 The triangle on the right hand side is described in a different version of the same map below . The map below shows a close up version of the pyramid shape to the right in the image above. 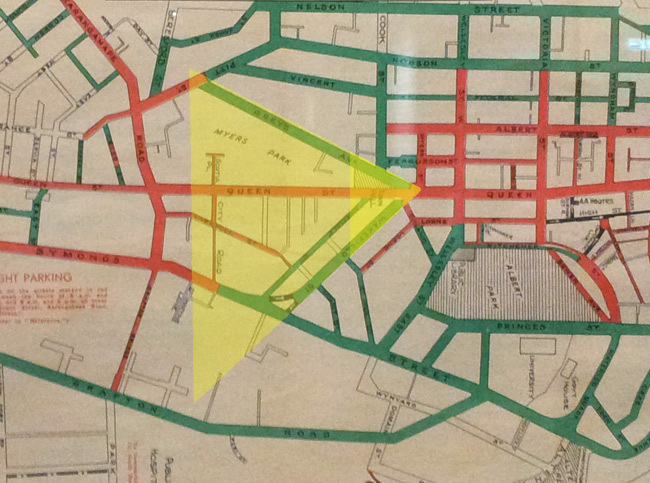 While this triangle is not equilateral, if the apex were to be in the darker area shown in the upper tip, this where the Town Hall and Mayors office remain located to this day. 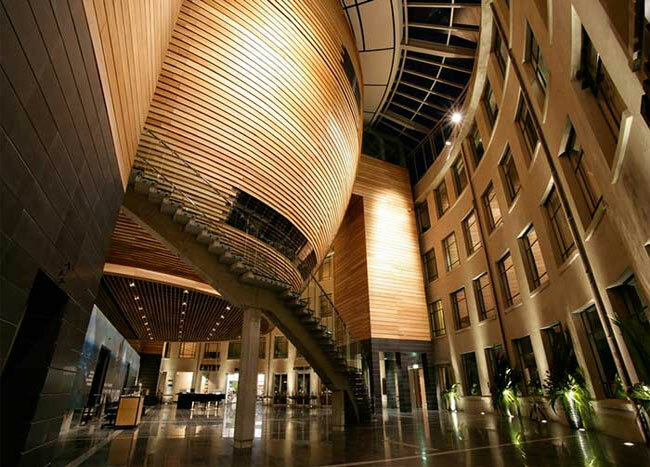 The three highest ranking Freemansons in New Zealand are reportedly John Key (Prime Minister), Len Brown and John Banks. The latter two of which have both held the office of Mayor, right at the pinnacle of the triangle. This could of course, all just be coincidence. In a close up view of this same area on a different map, it is interesting to note that this area contains Myres Park, Myers being a family name closely associated with the Illuminati. It is also intersting to note that the road now known as Lorne Street, which runs past the city Art Gallery was re-named. As shown in the original maps, it was once named Saxe-Coburg Street. Saxe-Coburg-Gotha was an earlier family name of the British Royal Family, before they moved to England from Germany, and changed their surname to Windsor. 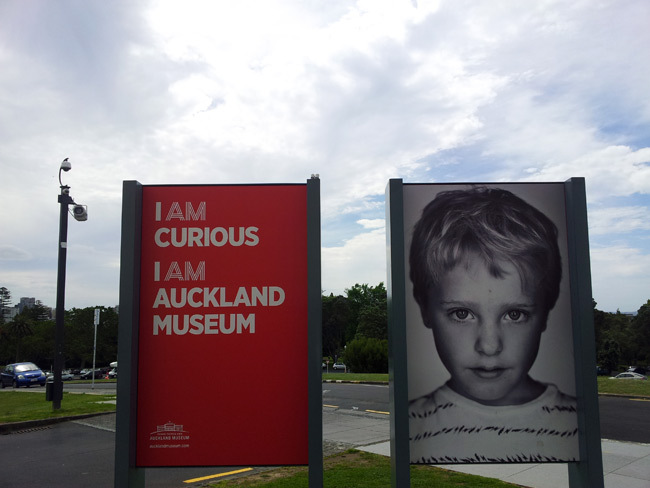 The Museum even has a mini-me. 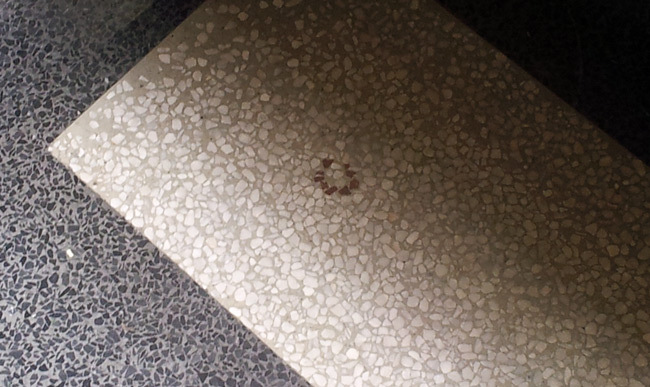 This is a curious little design in the floor that only appears in only one location on level one. Presumably it is some type of hallmark for those who laid the Terrazo. The Atrium provides access to recently constructed exhibition areas and is an alternative entrance / exit for the Museum. 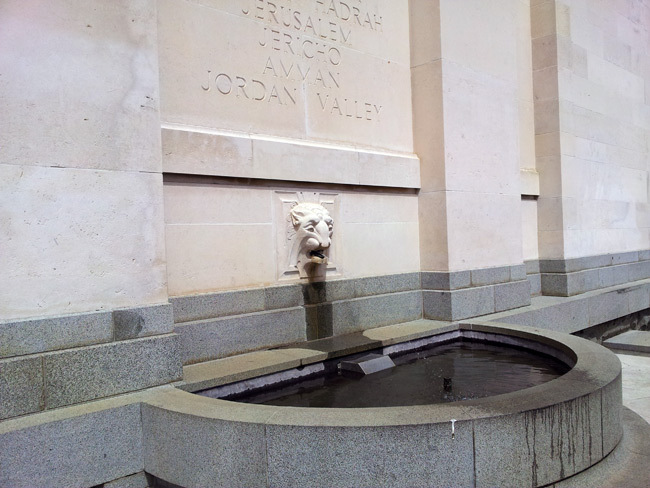 One of many Lion fountains to be found around the exterior of the Museum. There are some interesting scluptures wiin the grounds of the Museum. 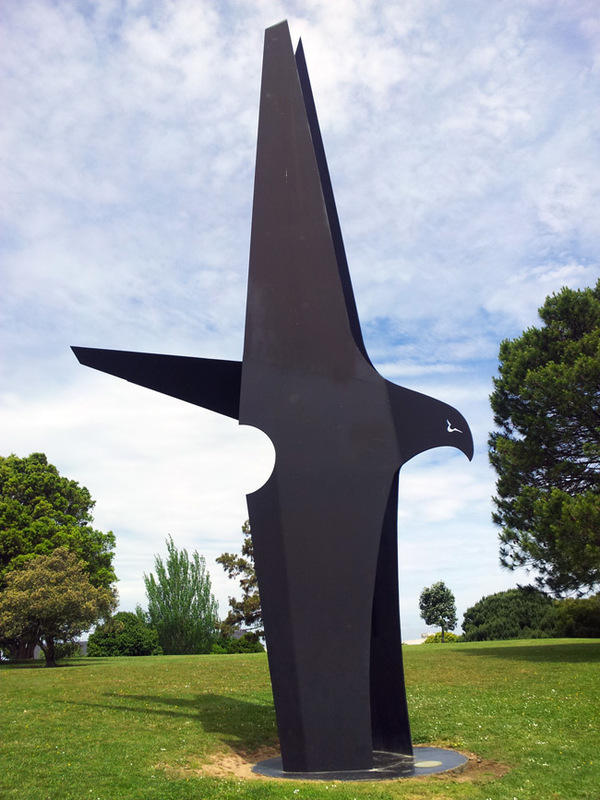 This sculpture of a bird seems rather dark, from most angles. He / she does not appear to be very happy. Perhaps on account of having been concreted into the ground. There are more details that could have been pointed out in this article, some people may have picked up on them and others not. Hopefully this has provided a little insight into some of the details that surround us every day that often go unnoticed.